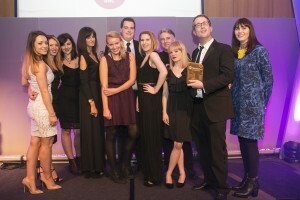 PR Agency One, which recently won the title of Outstanding PR Agency of the Year at the CIPR Awards, is looking to recruit a junior account manager. The ideal candidate would have several years of consumer PR experience and would like to work across the fashion, home and ‘gadgets’ sectors. You will be responsible for the management and growth of a number of the agency’s biggest accounts, providing strategy and direction, as well as implementation and media liaison. You would work closely with our managing director, account director and manage a team of account executives. It goes without saying that you will have first class writing and communication skills, prior consumer PR experience, a commitment for achieving exceptional results and a minimum of three years’ PR experience. We are a fast growing PR agency and there is huge potential to progress quickly within the business. We also invest heavily in training.